California glam metal band Pretty Boy Floyd found success quickly with their 1989 debut album, which spawned two hit singles, before the band broke up only two years later. The band reformed in 1995, performing live and recording a new album in 1998. With difficulty writing new material, the band once again went their separate ways until 2012. Most recently, Pretty Boy Floyd become part of the "America Rocks Tour" with Jack Russell's Great White, Faster Pussycat, Lillian Axe and Slayer. The band's latest offering is "Kiss Of Death: A Tribute To Kiss," which features original members Steve Summers and Kristy Majors. The album was released at the end of March through Dead Line Music in association with Cleopatra Records. It features fifteen spot-on remakes of classic Kiss songs. Some of the songs work very well with Summers' higher register vocals like "I Love It Loud" and "Detroit Rock City." The passion is definitely present as Pretty Boy Floyd named Kiss as one of their biggest influences. Nothing against the songs, but it's very hard not to hear Paul Stanley's vocals in songs like "Creatures Of The Night" and "Firehouse" as Summers does his best to try and deliver up to that standard. Some of the best songs on this album are near the end with the sing-along chorus of "Shout It Out Loud" and "Let Me Go Rock N Roll" as Pretty Boy Floyd certainly honor their heroes with this release. 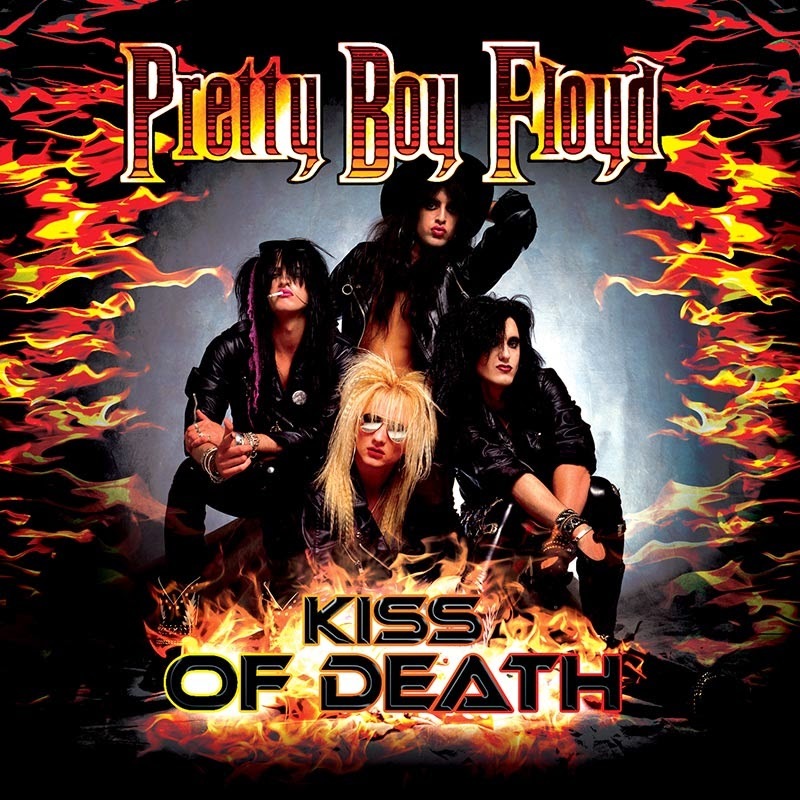 To find out more about Pretty Boy Floyd's tribute to Kiss, please visit cleorecs.com.